DJI was at the on the Red Carpet at the Hollywood Beverly Hilton Hotel on Sunday, January 11, 2015. 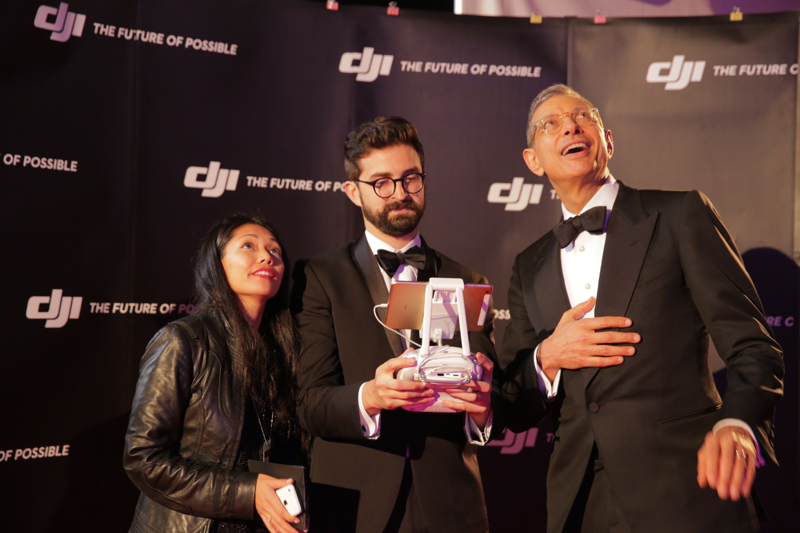 DJI captured memorable footage of the Red Carpet, taken from the aerial angles using the DJI Inspire 1. The Red Carpet was one of the most watched and most exciting parts of the evening. Before it formally began, behind-the-scenes footage was shot by the DJI Inspire 1, the most advanced all-in-one drone on the market today. As the world’s biggest stars began filing in, the DJI Ronin was used to record their gorgeous looks. At an after party following the awards ceremony, stars gathered together to do dronies using the DJI Inspire 1. Ricky Gervais trying out the Inspire 1. Kate Hudson watching the live aerial images. Jeff Goldblum taking a dronie with a big smile. 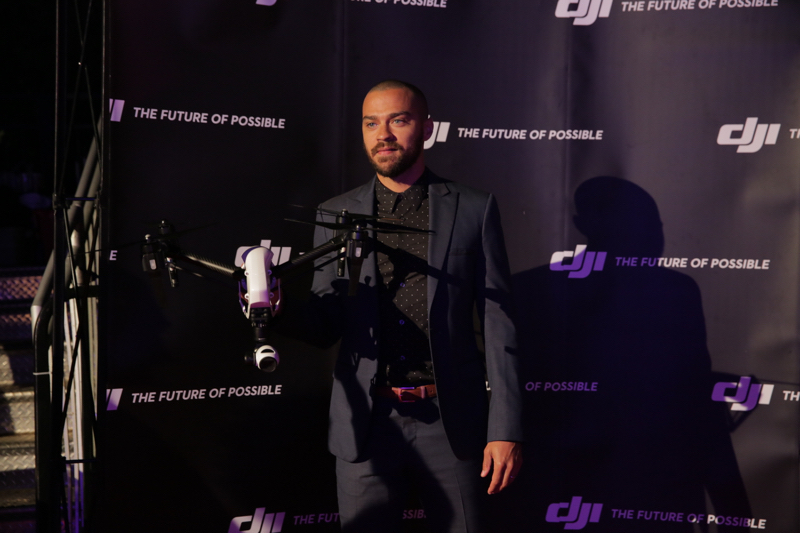 Jesse Williams with an Inspire 1.